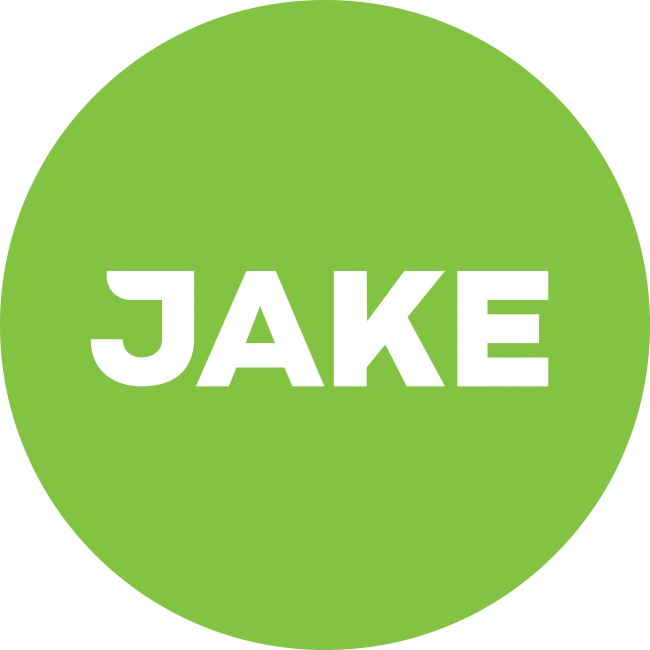 I am starting Jake as soons as it arrives and I'd like to hear some of your experiences and do's and don'ts when it comes to losing weight on Jake. I'm aware of the calorie in - calorie out logic of losing weight. The typical calculator tells me to eat about 2200 calories per day to safely lose weight. I'm going for Jake Light anyways simply so I can eat some other stuff as well on the sides. Apart from the maths, how do you manage? How do you spice it up? Did you get any actual results (stats?)? One fear I have is that it's so different from my normal eating routine (which was actually not that bad but just too often too much, especially at night), that it won't be a lifestyle change and I will simply revert back to my old habits as soon as I stop doing Jake. Don't bother with spicing it up. Don't focus on taste and on eating altogether. It's only going to make it harder. Just have the shake when it's time, get it in and continue whatever else you're doing. If you want to make it a lifestyle thing, go and do something else like taking a walk with the time you're saving. I'd love to see your progress here. Good luck! I'm going for Jake Light anyways simply so I can eat some other stuff as well on the sides. I suggest getting rid of any snacks all together. Have strict 3 meals per day and that's it. You may think that casual snacks don't amount to much calories, but you would be surprised. Also, eating at night like you mentioned can have bad effects on your sleep, you may have trouble getting up and feel tired because your stomach was working all that time. If you simply had three meals per day you wouldn't have to worry about gaining much weight after you stop doing Jake. I think @emilburzo kept a log for a while. 8kg in 13 weeks is impressive, confrontational in a way. I've had my first shake this morning and the taste was better than I remembered from the sample. I feel pretty full still which is nice. I will use this week to slowly build up to 2/3 shakes per day. @n3ziniuka5 I'm very much aware of the danger of snacking which is why I'm deciding before the start of the day which snacks I can have that day. I might use MFP but knowing myself I probably won't update anyways. Thanks @Miika for the mention, I would have missed the thread otherwise. Your issues sounds really similar to mine, so here's some advice on what worked for me. It boils down to: make it a marathon, not a sprint -- which in essence means doing really small changes, not changing everything up at once. You should weigh yourself for 1-2 weeks, without changing anything, to get a sense of where you are right now: are you stable, going up, or going down? I was never able to keep a weight log until I found an app (Libra for Android) that displayed a reminder to weigh myself in every morning and got a personal scale somewhere really close to my phone, so when I'd check my phone in the morning, I'd also weigh in and log it. You're a high calorie dude like me (I use 2350 kcal just sitting in a chair), so I'd actually recommend keeping the Jake Light you have for later because you're just going to get hungry and splurge on crap. That happened to me when I decided to just have 3 x Jake Original per day, because I don't really care about food at all -- and 2000kcal was way too low, I'd get cravings and such. So, just replace one meal a day (preferably the one were you usually eat lousy -- that was lunch for me) with Jake Original, and for an hour before/after that meal, don't eat/drink anything else except water. Listen to your body, keep a log (can be just a braindump like I did), drink lots of water if you get any headaches or weirdness. Do this for a month and report back here with your weight log and we'll go from there. Oh yeah, your weight log will be bumpy, so don't put too much heart in the day to day weigh ins. When I was experimenting with other diets I used to get so upset before I understood this, I almost gave up -- a trend usually emerges between weeks, not days. Hi! Thanks a lot Emil, great tips. I really didn't feel like getting on the scale every day as I thought of it as a chore. But seeing that it'll factually only take a minute or so it was probably more of a mental thing. I've put it next to my bed and weigh before and after and it's actually somewhat stimulating. If you did the 8kg just replacing one meal, you'd still have to manage all the other calories? Because it's the convenience and structure of 1 complete 500kcal meal that made me go for this. So I I'll be sticking to my 2-3 Jake Light per day plan for now and see how it will go. See you in a month then! If you did the 8kg just replacing one meal, you'd still have to manage all the other calories? No, that was/is the beauty of Jake for me, it seems to "fix" something in my body, since I was eating less and less when eating the other, "normal" meals. It felt like I was missing something that regular food didn't provide, and that was making me hungry all the time. I definitely wouldn't have passed a month if I had to calorie count/weigh food. Because it's the convenience and structure of 1 complete 500kcal meal that made me go for this. So I I'll be sticking to my 2-3 Jake Light per day plan for now and see how it will go. Definitely, experiment as much as possible. It took me a lot of tries to arrive at my optimum of 1 Jake / day, yours could very well be different. My only concern was that you don't go too low on calories -> resist the hunger feeling for a while -> splurge on whatever is nearby. (I did this too many times). Some coffee is yum, good luck! I use Jake for weight loss. Some tips from me; I'm very obese. 6ft tall, 400lbs. Have Jake Days and non-Jake days. Don't fall into the trap of having Jake for breakfast, Jake for lunch and then having a normal dinner. You will probably put on weight. This was something I fell into because at work, Jakeing seems easy. When at home with family it is a big downer. To overcome this I started going for a walk around the block (only 20mins slow walking) at dinner time, so I didn't have to watch/smell my wife and child eat. I eat normal food on the weekend. Makes it easyer to be really strict (Liquids only Jake/Tea/Coffee/Diet Coke) on the 5 jake days if you can just have what you fancy at the weekend. I genuanely find I don't feel like bingeing at the weekends because I find over a week of jakes my appitite has shrunk somewhat. Sometimes, I need to eat real food on a weekday. Sometimes the company puts on food if there is a late meeting or similar, and I find it very, very hard to not eat when around others who are eating. I try and plan those days in advance, and not eat any jakes, and then pay myself back by having a Jake day on the weekend.